The Old Hermitage facing the Neva River was completed by the architect Yuri Felten for Catherine the Great in 1787. Nicholas I had the 2nd floor rooms redesigned by Andrei Stakenshneider in the late 1840s. It was known as the 7th Spare. The Prince of Wales, later King Edward VII, attended alone the wedding of his sister-in-law Dagmar of Denmark (Maria Feodorovna) to the future Alexander III in October 1866. He stayed in the 7th Spare. 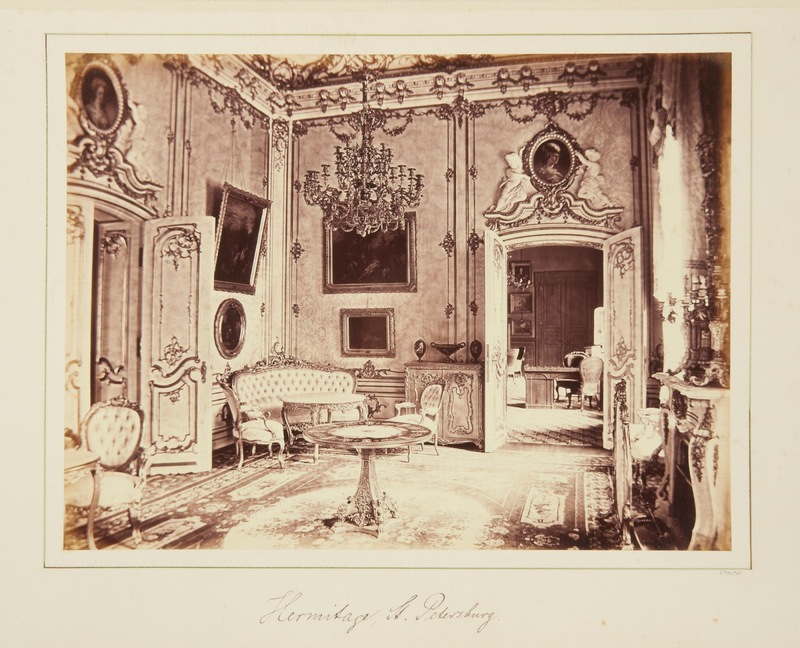 Emperor Alexander II would give his guests albums of photographs of the palaces in remembrance of their stay in Saint Petersburg. One of the albums presented to the Prince of Wales was his suite on the 2nd floor. 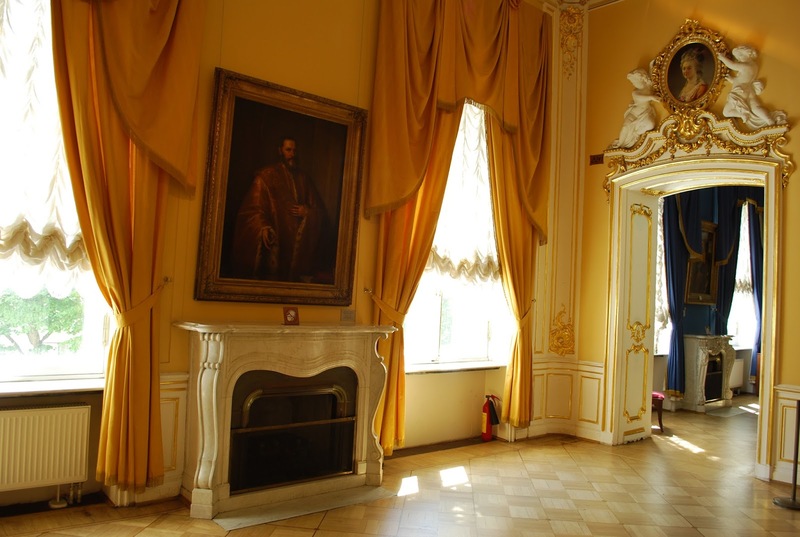 The private rooms faced the inner courtyard and larger salons the Neva. Wonderful. 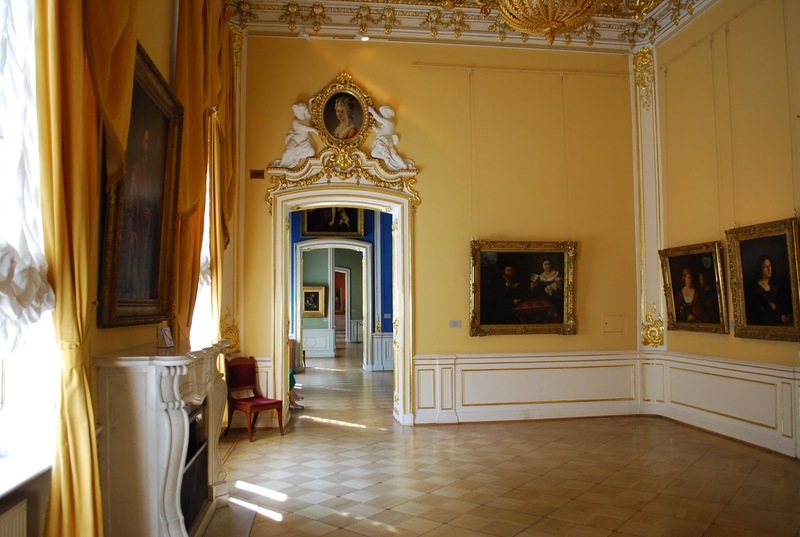 Perhaps you already know, but the overdoor in the first image is of the marquise de Pompadour in Turkish costume, the work of Van Loo. The painting has a pendant which I presume was used as the room's other overdoor. 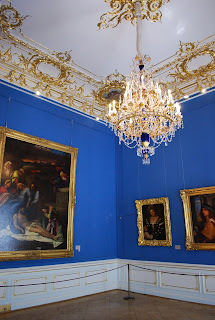 Both appear to still be in the collection of the Hermitage, but I don't know if this pair are the originals. They very well may be, but there are other versions. If you Google Pompadour and Van Loo you'll see the panels as they are, cut to this shape. 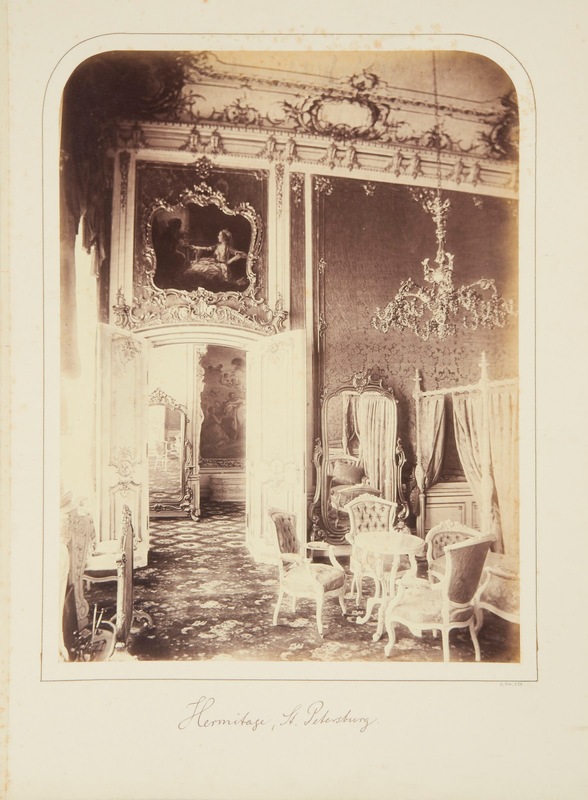 Archival documents may indicate if Stakenshneider received Nicholas I's permission to re-size Van Loo's paintings. 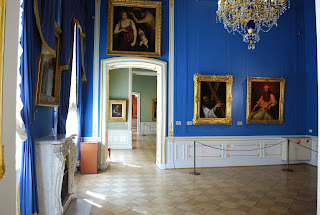 The renovation of these rooms was during the same period of the building of the New Hermitage when Nicholas went through the art collection for retaining or sales. In June 1941 only three paintings were boxed with their frames: Madonna Litta, Madonna Conestabile, Madonna Benois. 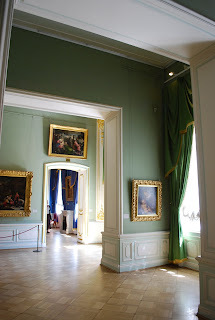 The Van Loo and others were not necessarily returned to the rooms, replaced with others. My question to you is what am I looking at? Are they realised floor plans? Why is the second floor one different to the Hermitage's one, is it an earlier design? I'm dying to know, thanks in advance. 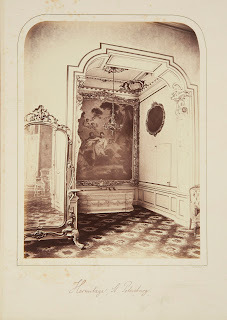 P.S would love to see some floor plans of The (Old ) Great Hermitage. 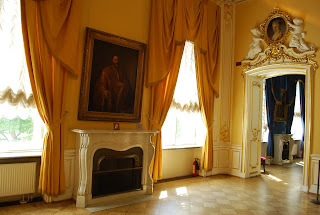 I will do another post on floor plans of Old Hermitage! Bravo!! 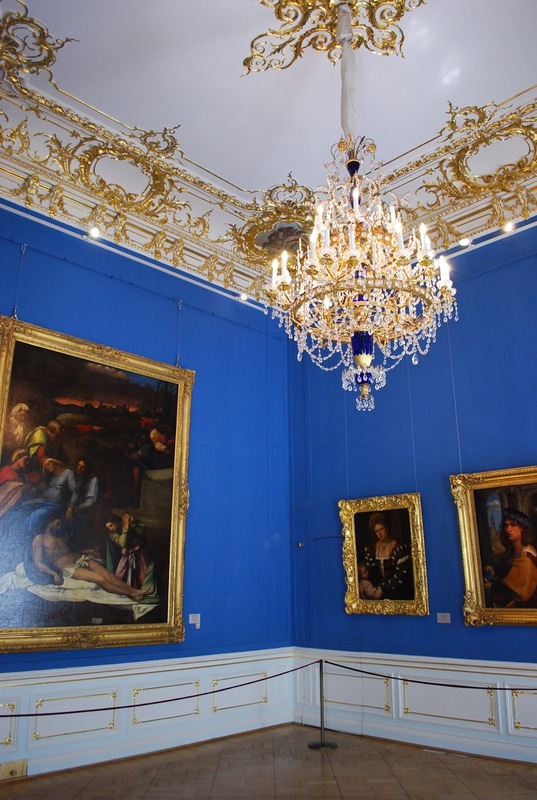 My congratulations, first time I see current pictures of these rooms!! 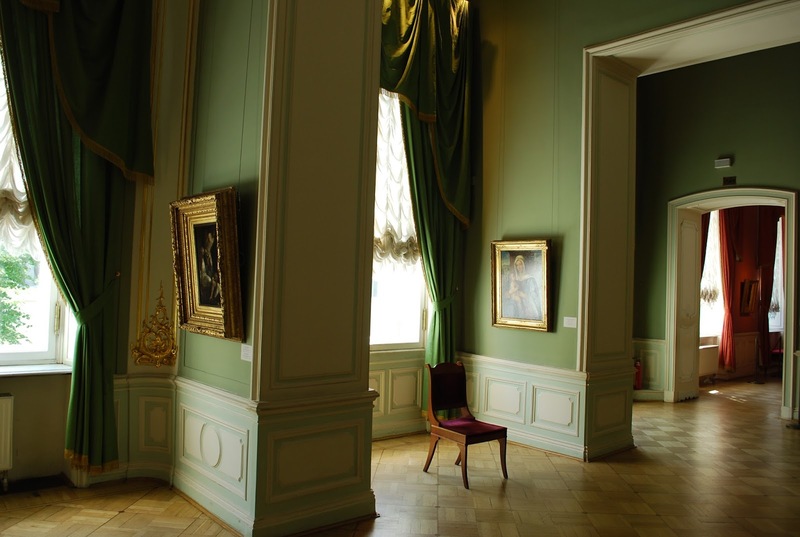 I guess that during the second half of the XIX century they slowly became exhibitions rooms, like the ones facing the Neva.